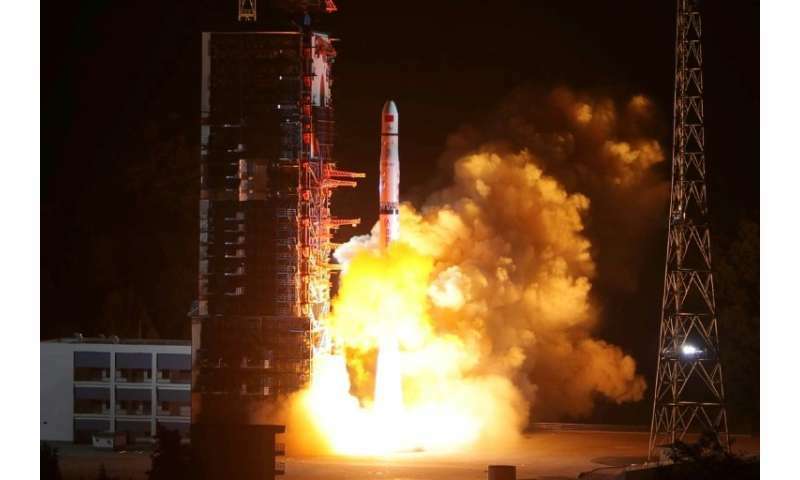 By 2030, the Long March-9 rocket under development will be able to carry 140 tonnes into low-Earth orbit—where TV and earth observation satellites currently fly—said Long Lehao, a senior official from the Chinese Academy of Engineering, according to the official Xinhua news agency. SpaceX's BFR is capable of sending 150 mt to LEO. Knowing SpaceX, that number will climb by the time SpaceX starts producing them. Unlike the SLS, which may never actually see the light of day, SpaceX is betting the farm, standardizing on the BFR for a wide range of missions. Neither this Long March 9 nor the SLS are a reusable system, where the same BFR will be able to fly many times a month, significantly reducing cost. If China wans to do something great, it could start with ocean colonisation - surface and subsurface. It is practically an unexplored realm, full of resources with no competitors. The problem with China devoting the enormous resources it would take to colonize out into the North Pacific? Are all those obstreperous neighbors along their eastern seaboard. That is why China is concentrating on building up the artificial islands in the South China Sea. As part of the Maritime Silk Road development project reaching to India, the Mid-East and Africa. Matching the New Silk Road transportation network across Central Asia to the Black Sea. Intended to use these modernized routes as training grounds to develop their still poverty-stricken western peasant population. The only other realistic choice would be north into Siberia. The Russians would not be amused! Yeah and by the time this long march rocket flies, the BFR will have landed on mars. NASA will have its heavy lifter because it is primarily a military organization and future missions will require that kind of dependability and capability. Which is why it will be built to milspec. Bridenstein is already suggesting in interviews that NASA might have to reconsider what to do with the SLS (now that Falcon Heavy is operational and the BFR and Blue Origin New Glenn are on the horizon). He might bring himself into trouble, politically, again, with his open ended engagement. "Bridenstine says he is open, however, to changing his mind about the SLS if other commercial vehicles can match the capabilities of the rocket in the future. "If there comes a day when somebody else can deliver that, we need to think differently," he said. "It's always evolving." "
Well, to a European observer, that still seems like an enviable range of choices. And with regards to China. I hope they do it asap. Friendly competitions are more interesting when you have capable challengers. In the coming age of reusable rockets, true power of a rocket should really be expressed in how many tons it can put to orbit *per year*. BFR is in a class of its own but even Blue Origin rocket New Glenn should only orbit 45 tons but will probably blow both SLS and this rocket out of the water when it comes to total payload delivered in orbit over many more launches. Whoa! Once again people holding victory parades before actually accomplishing a victory. If you're going to brag of great deeds? First do the deeds! Yeah and I am including whoever wrote the clickbait headline for this article. And the Chinese officials promising their bosses glorious achievements. Well, if we should compare with systems that are worked on, the Falcon Heavy 57 mt to LEO in reusable mode (~ 90 % of expendable capacity) - which will by far be the most flown configuration - is irrelevant. Even the referenced SLS Block 2 LEO capacity of 130 mt or the projected Block 1B capacity is irrelevant, since the configuration that is developed and now planned to fly in the 20s is the Block 1. The block 1 configuration has seen a capacity increase however, and will be able to lift 95 mt to reference LEO orbits [ an increase from 70 mt; http://www.spacef...r-focus/ ]. The real contender here is the BFR, which is now under development. It will lift 150 mt to LEO in its only (reusable) mode.